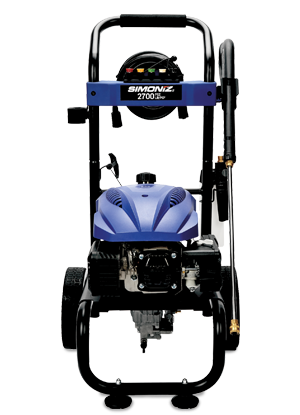 The Simoniz 2700 PSI Pressure Washer features a powerful 173cc gasoline engine and delivers 2700 PSI of force for quick cleaning of driveways, decks, windows and other areas around your home. The compact design features handy on-board accessory storage, and five quick-connect project tips that offer a wide range of spray patterns for different cleaning projects. Our patented Foam Blaster provides high-pressure soap application. 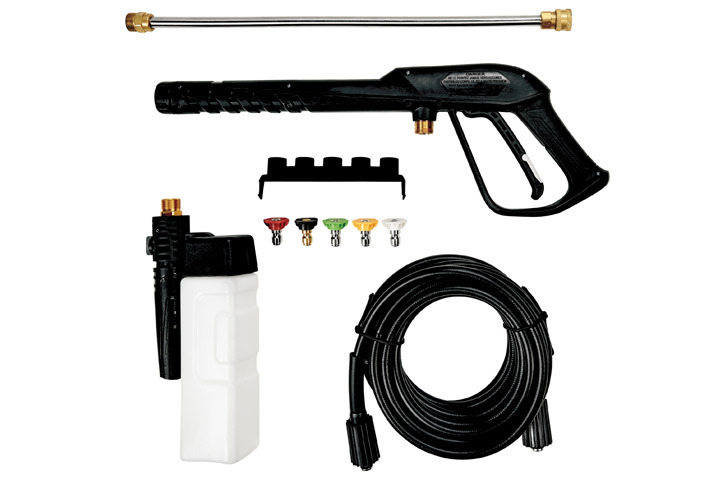 The ergonomic spray gun features metal construction, a comfortable pressure control trigger, and easily connects to the high pressure hose. The stainless-steel and brass components are wear-resistant and corrosion-free. 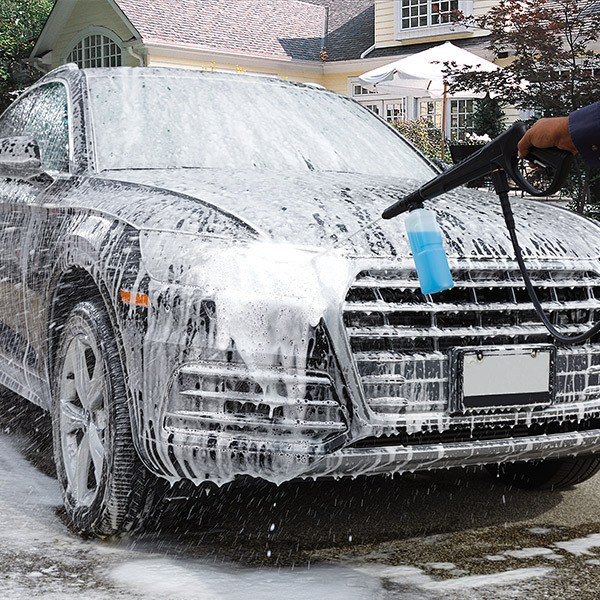 The patented Simoniz Foam Blaster gives you a touchless car wash experience right in your driveway. Simply fill the bottle with the detergent, attach it to the spray gun, and coat the vehicle with dirt grabbing foam. The Foam Blaster spray head includes multiple spray patterns and an on-off switch for easily transitioning from detergent to water, making even the dirtiest jobs a breeze. The Simoniz Foam Blaster is also great for boats, RV’s, windows, and many other jobs around the home.